Something of a mould-maker when unveiled in 2004, the Mercedes-Benz CLS introduced the idea of a four-door coupé to the world. 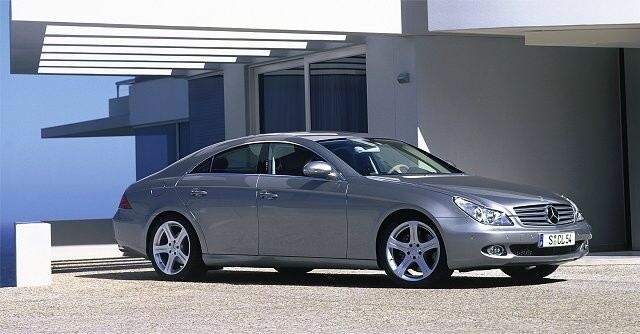 Something of a mould-maker when unveiled in 2004, the Mercedes-Benz CLS introduced the idea of a four-door coupé to the world. Mixing sleek looks, a stylish interior and practicality so far unseen in the coupé sector it became an instant hit, and a niche that other makers are only just copying. Replaced in 2011 by the W218 model, the W219 (confusing isn’t it?) has now become something of a premium bargain on the used market. The current CLS has just been joined by the gorgeous CLS Shooting Brake, but for the first generation cars the only body style available was the four-door saloon. Like the Volkswagen Passat CC (also released around the same time) it really was a ground-breaking design, comfortable for four but crucially offering unimpeded access too. Even the boot is sizable. Of course being a Mercedes there’s plenty of choice elsewhere, and personalising your CLS wasn’t a problem for those that were privileged enough to afford one from the factory. Engine choice took in two petrol and two diesels. Those with money to burn could have opted for the 5.0- or 5.5-litre V8 petrol units in the CLS 500, but most petrol cars on the second-hand market use the 3.5-litre V6 and are badged CLS 350 CGI. But by far the best match for the CLS is the 3.0-litre V6 diesel at first only available with 224hp - though after 2009 also offered with 272hp beneath the sleek bonnet. There is the odd AMG example available, but this car’s supercharged 5.5-litre V8 engine escalates running costs to stratospheric levels so you’ll need to look hard to find one. It won’t matter how hard you look for a manual CLS though, as despite being touted as something of a four-door sports car all models came with an automatic gearbox. Early cars were five speeds, and later models seven. Buyers had the choice of an AMG package that adds visual aggression thanks to larger wheels and subtle body styling, and those with really deep pockets could create a near bespoke feel with the Designo option. Stick with the diesels; not only are they cheaper to run but the low-down torque delivery suits the CLS’s GT-like abilities while refinement is so good you’re unlikely to notice any under-bonnet rattles. The CLS suits sober colours the best too so try and find a silver or black car with a dark leather interior. We’d also opt for the lower power V6, as it blends ample performance (0-100km/h in seven seconds) with greater economy than the more powerful model while the post-2008 facelift cars are generally more desirable. Other manufacturers are only just beginning to play catch up with the CLS, so unless you’d be happy looking at a Volkswagen Passat CC instead there’s no real direct rivals on the used market. Which is fine, as if you looked past this Mercedes you’d be missing out on one of the best cars the firm has produced in recent years and probably the most striking executive express on the used market full stop.